Rickenella fibula or as it is sometimes known Orange Mosscap is a known associate of various mosses. 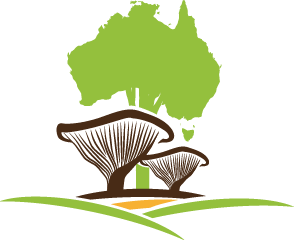 Molecular research is divulging more about the amazing relationships fungi have with other species. 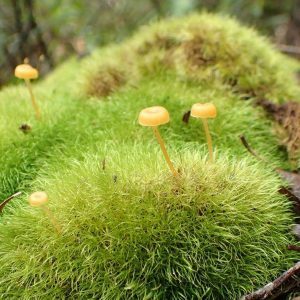 Recent research by Hailee Brynn Korotkin in the Matheny lab has shown that these diminutive fungi spend their life in commensal endophytic relationship with its moss hosts. Thanks to Katrina Syme for use of the lovely image.